This questionnaire will help us determine which services and systems will work best for you! After you submit this form, we will contact you to set up a time to come out for your on-site consultation. During your 60-minute consultation, we will assess all of your organizational needs, measure all spaces for design, and discuss style preferences. We will also choose the appropriate finishes based on samples of the ELFA shelving system or TCS Closets that we bring. Your consultation will also include a custom design for each space as well as a comprehensive organization plan to execute each design flawlessly and determine what other areas need adjustment in the home or work space. Don't worry, we don't have to do everything at once! This consultation will give us an idea of your priorities and we can decide to either complete everything in one fell swoop or break projects down into more manageable pieces. From kitchens, pantries and garages to Master Closets, offices, and living rooms we do it all. There is no space too big or too small! If you have a space that doesn't fall into those categories, reach out anyway and we will find a solution to suit your needs. We look forward to meeting you! Thank you! We will reach out to you in the next 24-48 hours to confirm your information, quote pricing for your consultation and set an appointment! *Consultation rates start at $100 based on the number of designed spaces and distance from the nearest Container Store location. Any locations beyond 25 miles from a Container Store are subject to a $5 per mile one way mileage fee per visit. Organizing rates start at $75 per hour and will be quoted fully within your design/organization plan that will be presented a few days after your consultation. 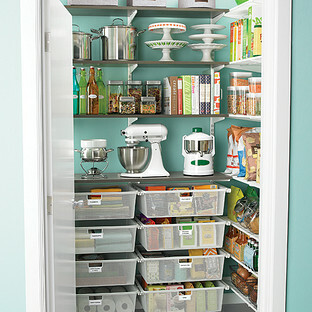 Billable organization time will include shopping for all materials, delivery, along with organizing the spaces on-site.